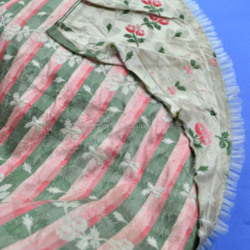 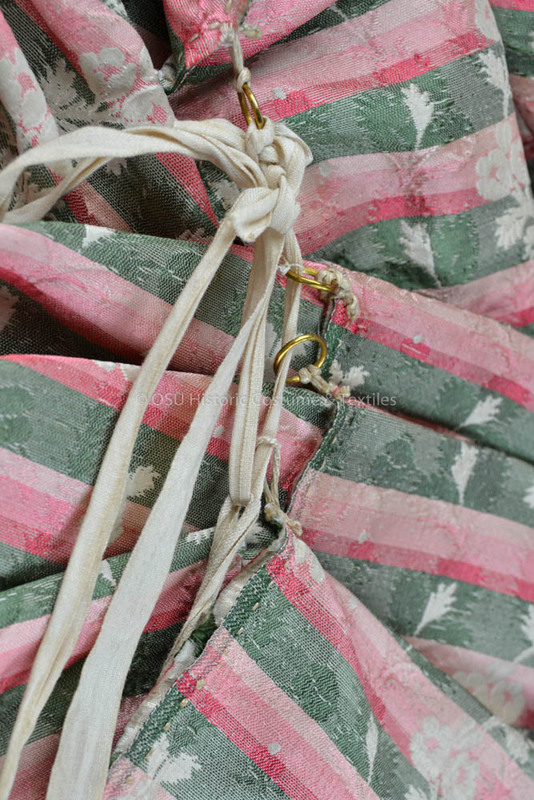 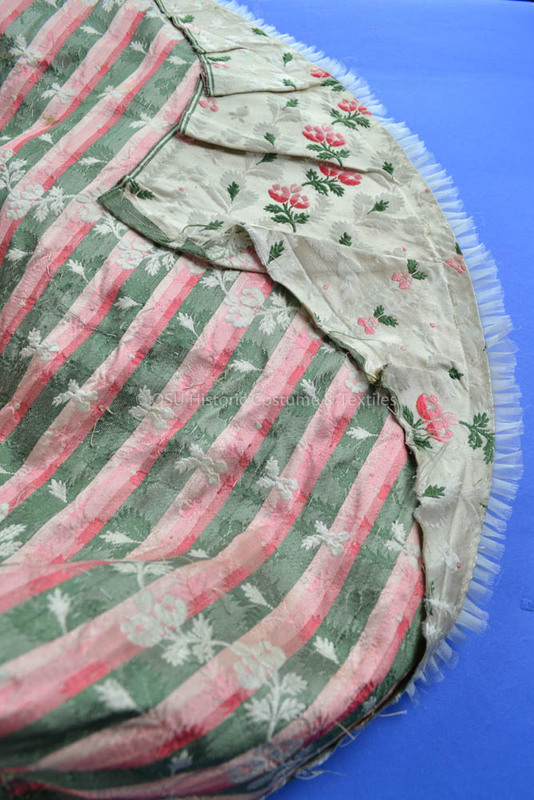 Petticoat made from 6 panels, selvage to selvage and 2 narrower sections at side-backs with a godet at hem; pleated at waist with drawstring closure; has pocket slits at sides; Neck edge, front and hem of gown and front of petticoat trimmed with varying widths of striped gauze embroidered sporadically with pink, green and white motifs; pleated china silk trim w/pink and green tassel fringe on skirt fronts and front of petticoat only; some china silk pleating replaced with pleated gauze around neck, sleeve hems, and parts of petticoat and hem decoration. 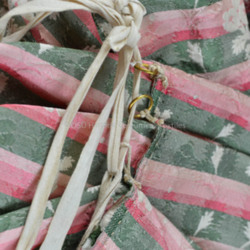 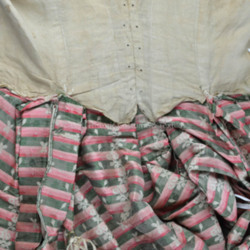 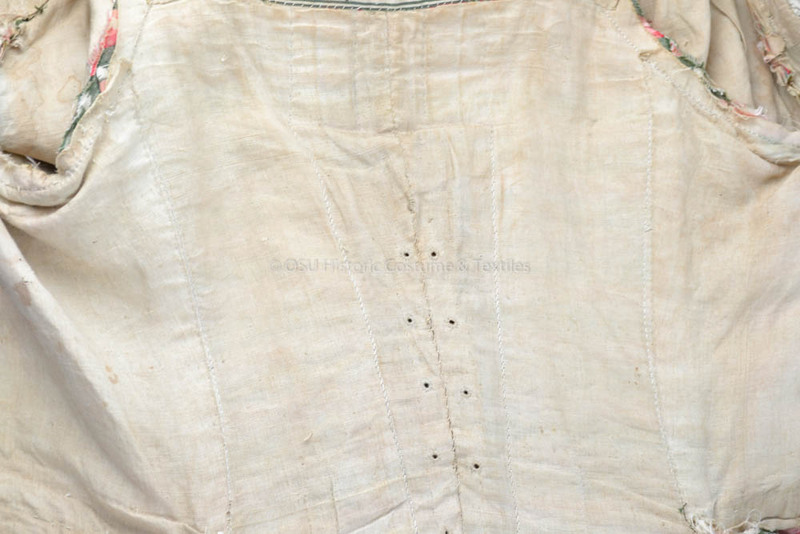 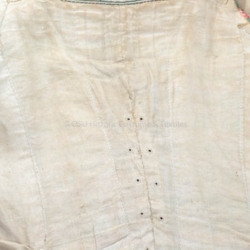 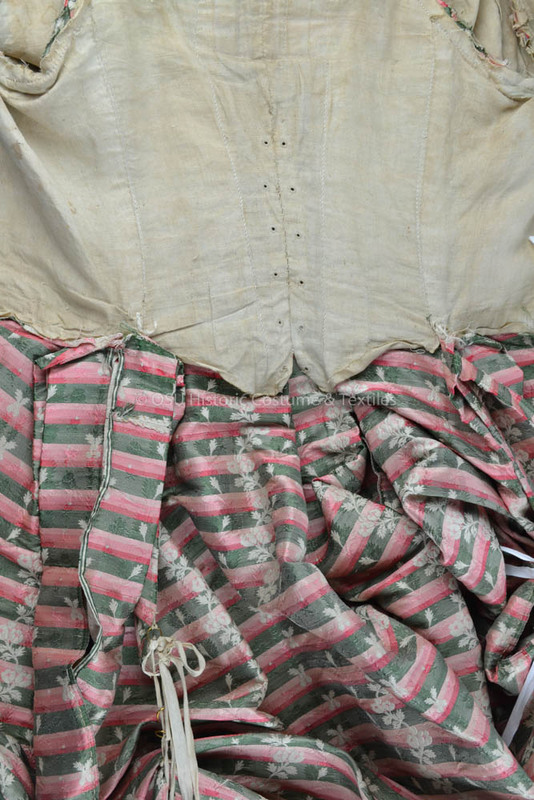 Bodice lined with linen; center back has 6 pairs of thread-worked eyelets in lining; center back seam stitched together. 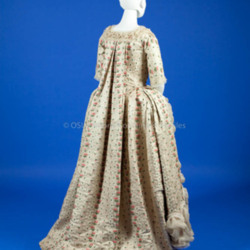 This dress was purchased at auction. 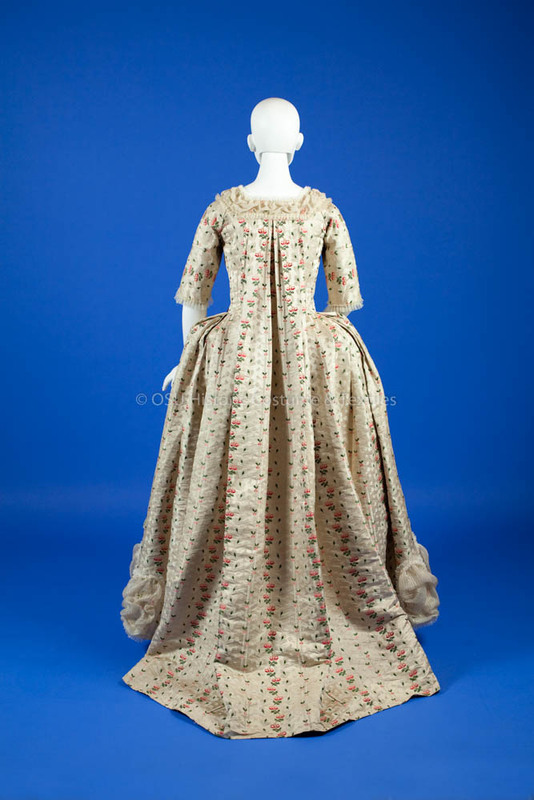 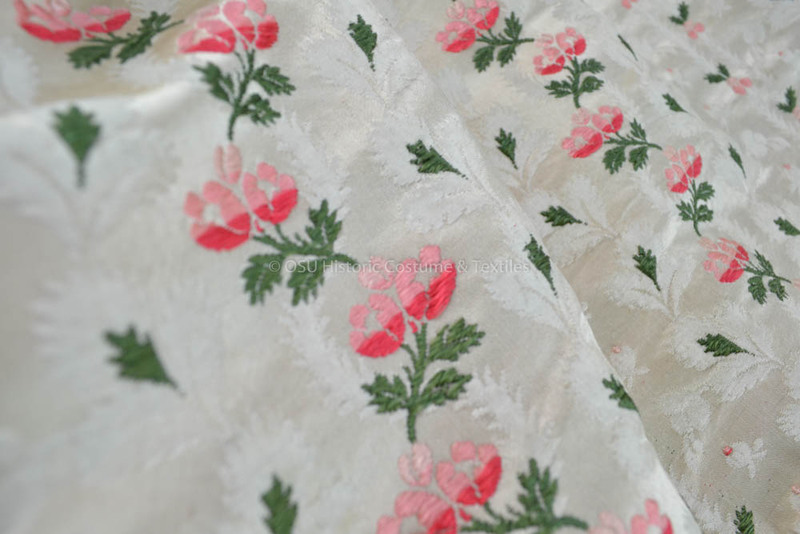 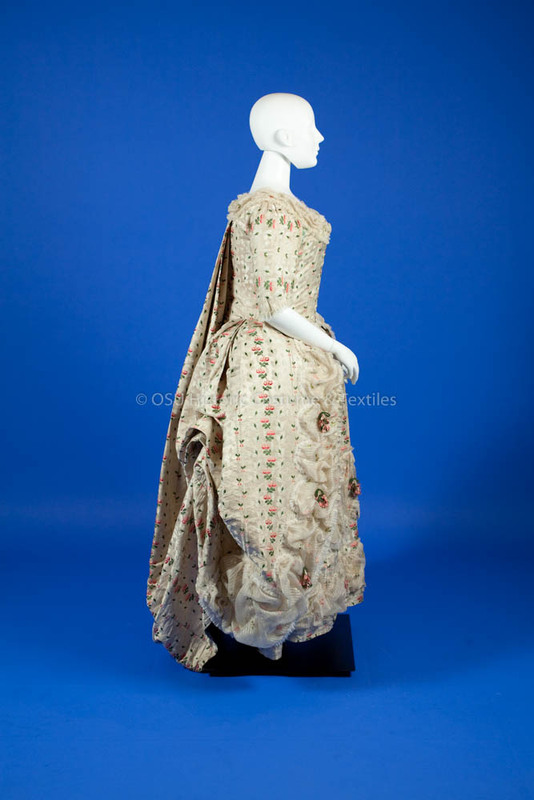 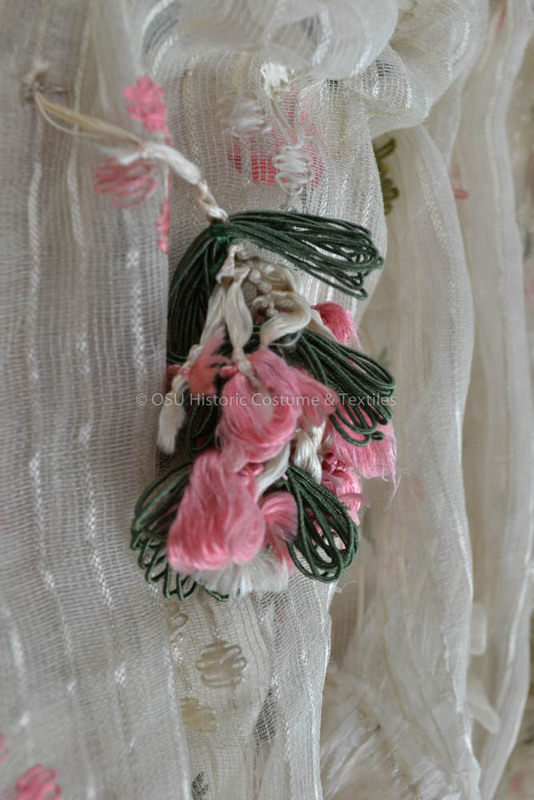 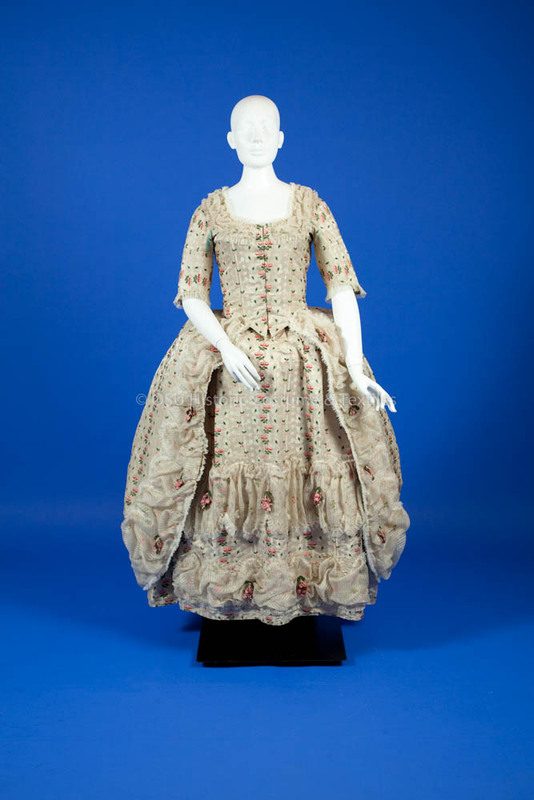 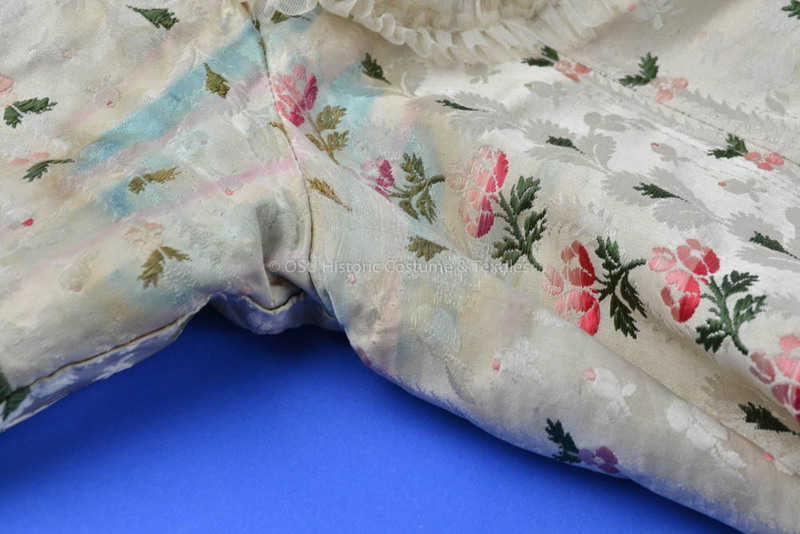 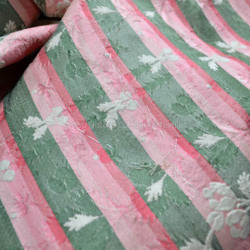 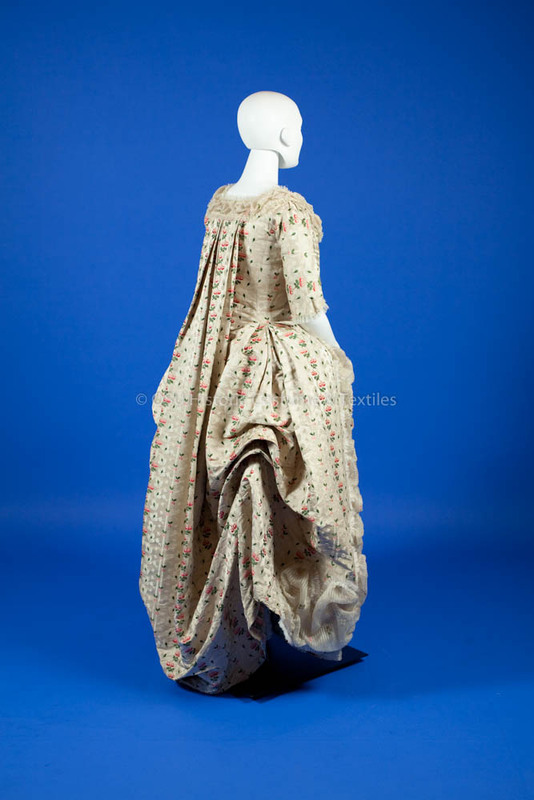 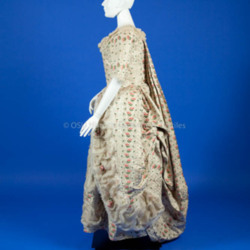 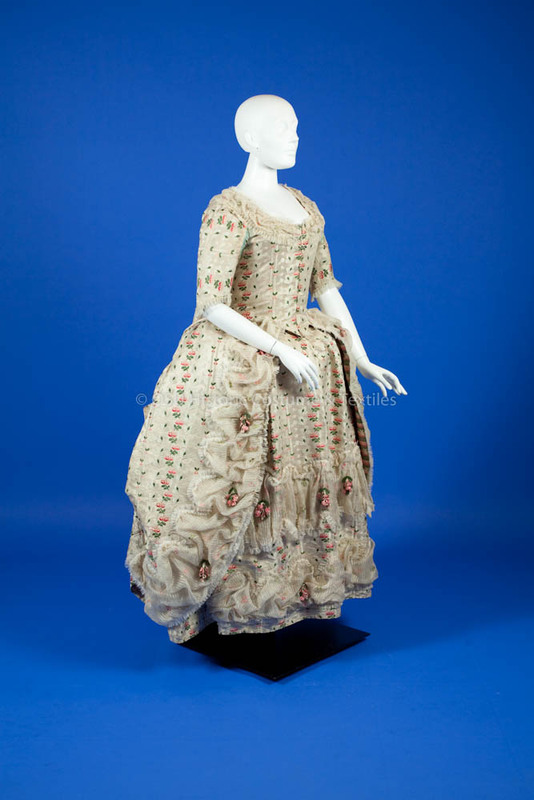 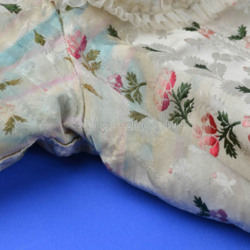 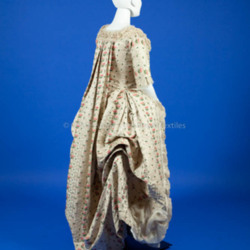 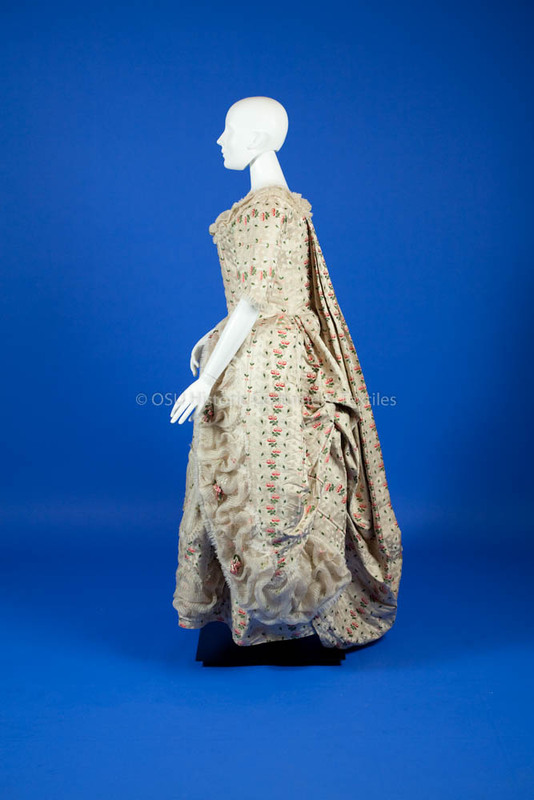 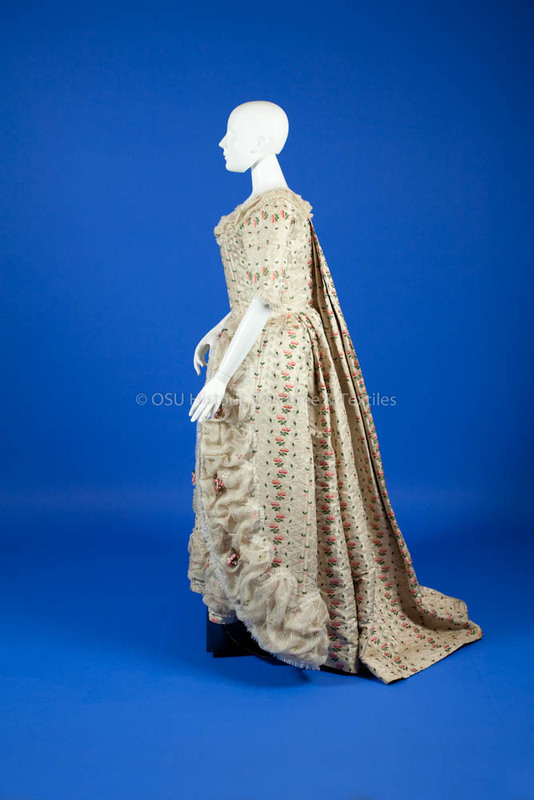 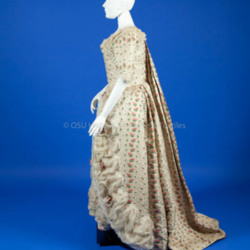 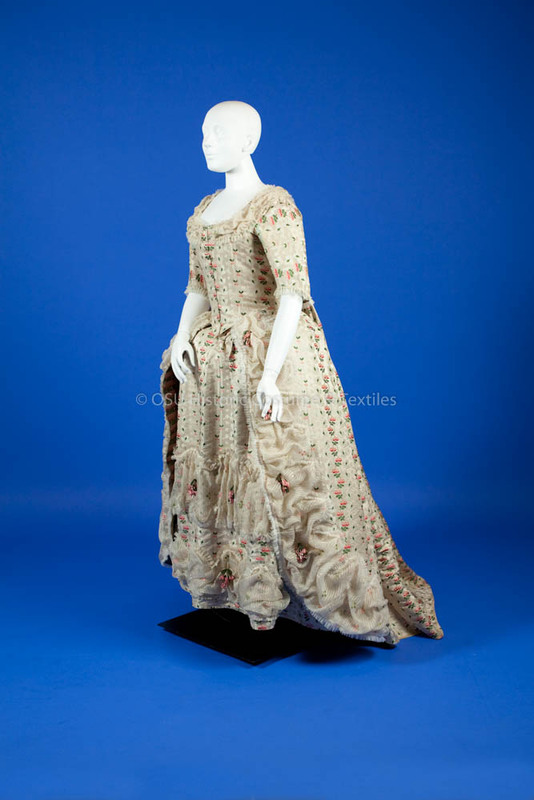 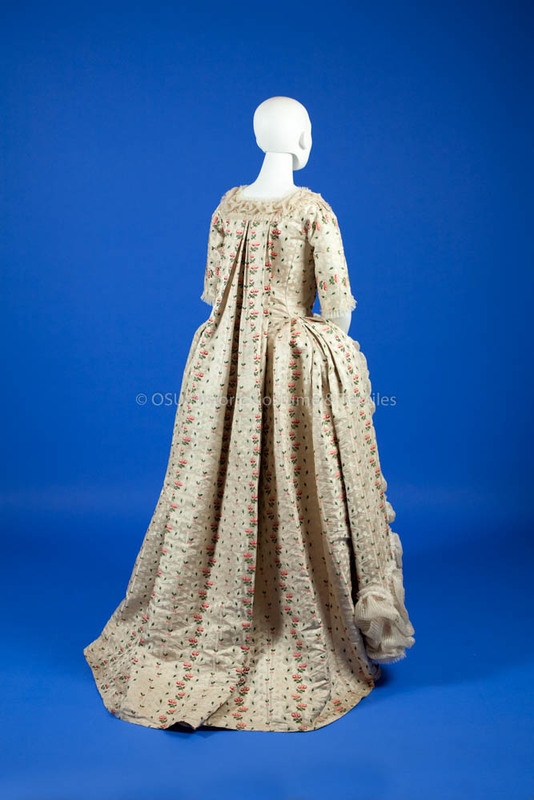 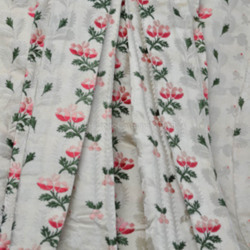 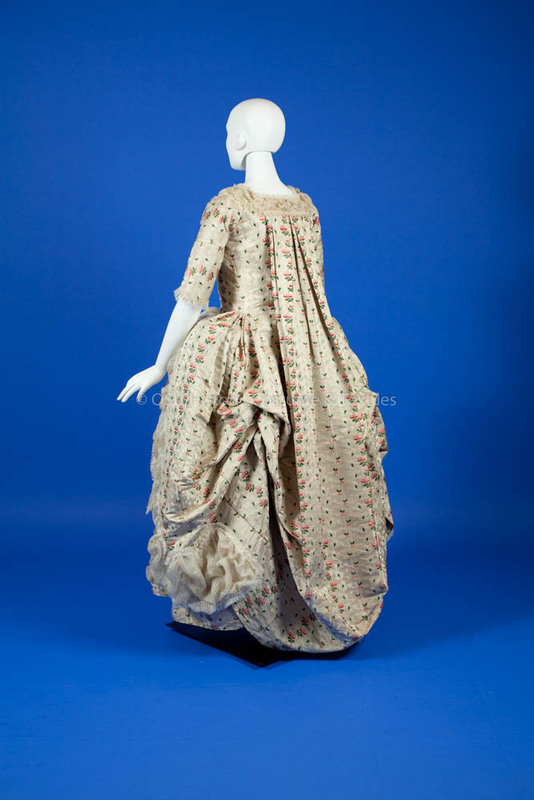 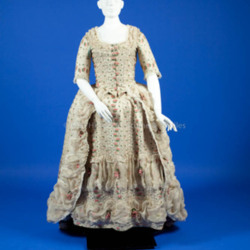 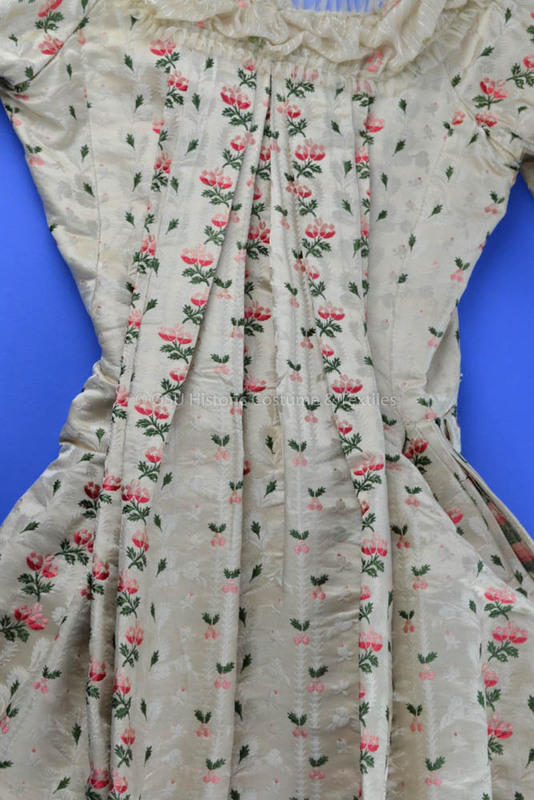 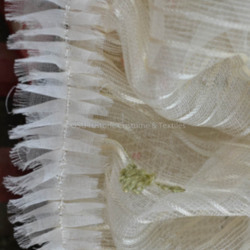 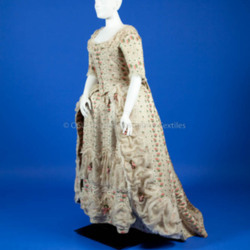 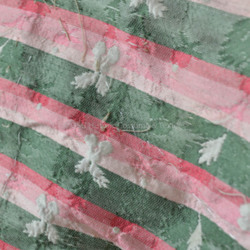 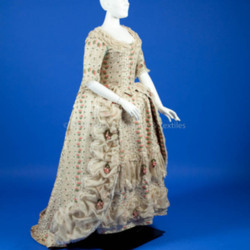 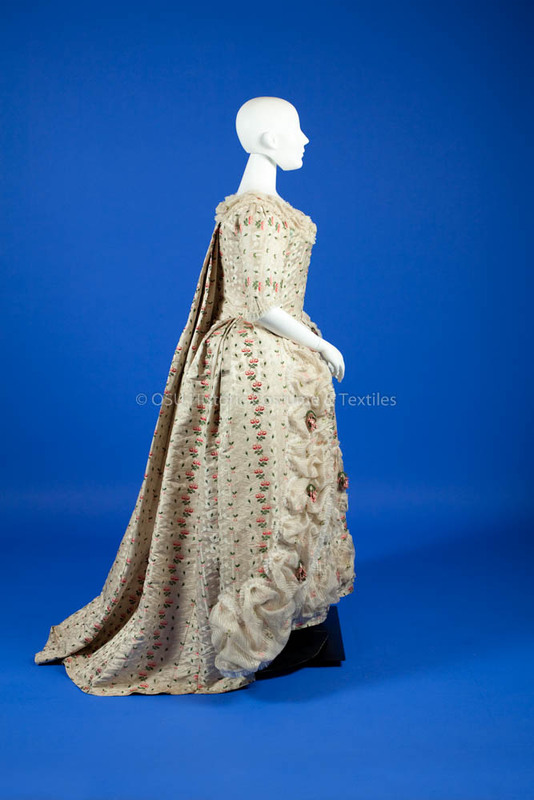 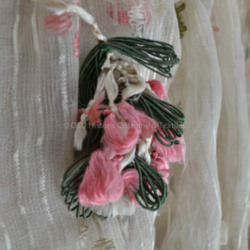 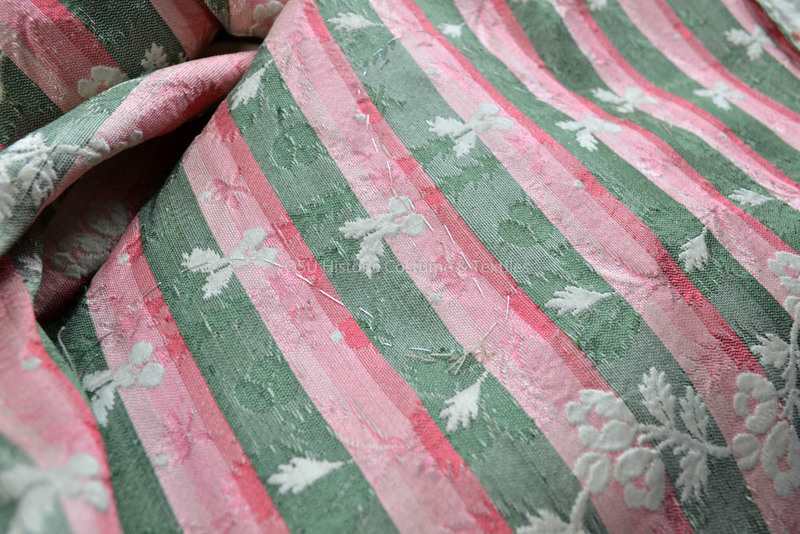 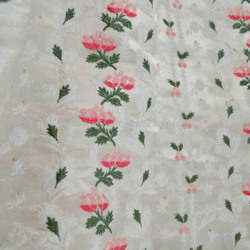 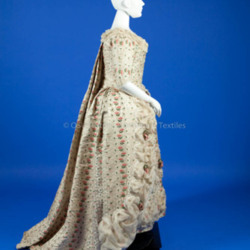 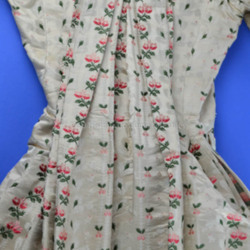 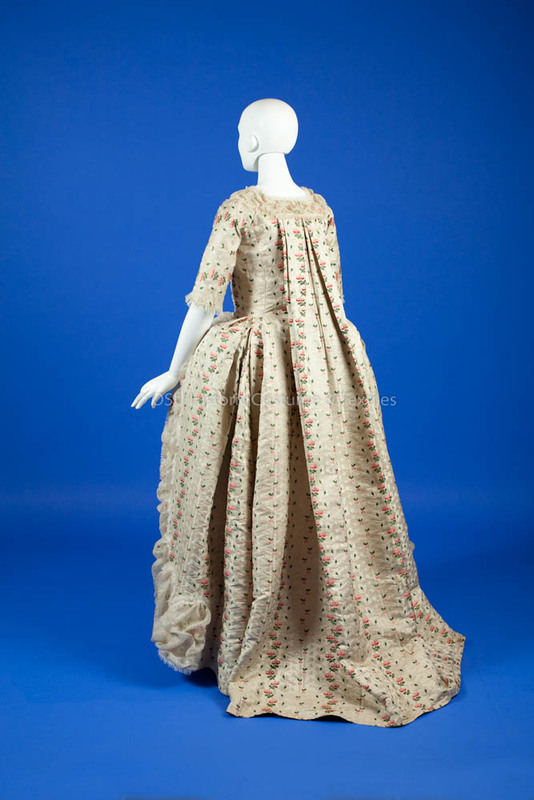 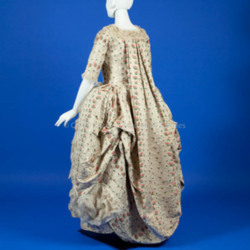 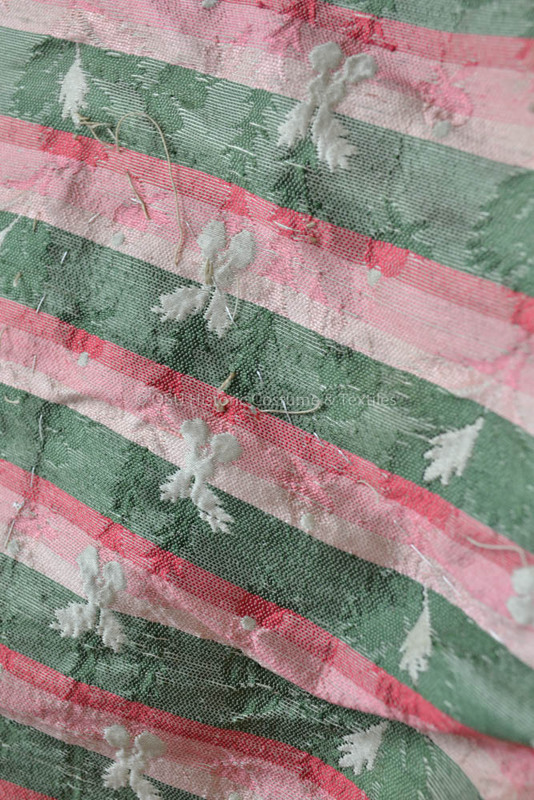 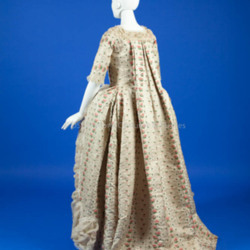 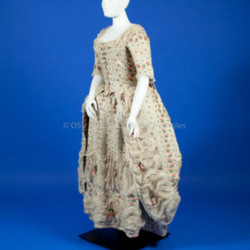 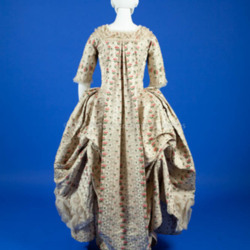 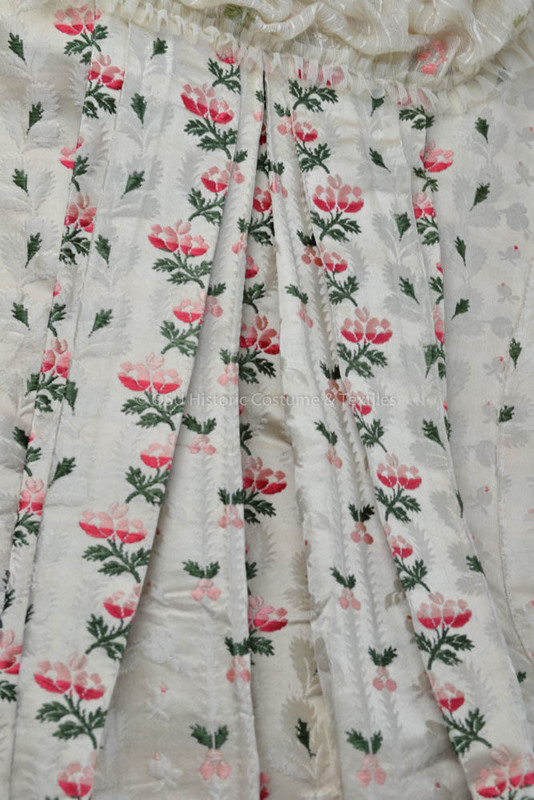 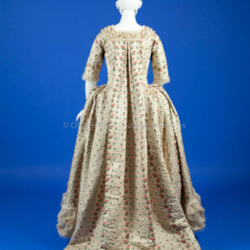 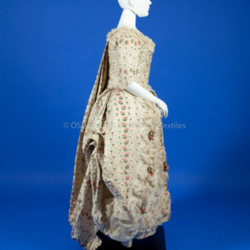 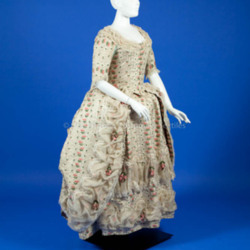 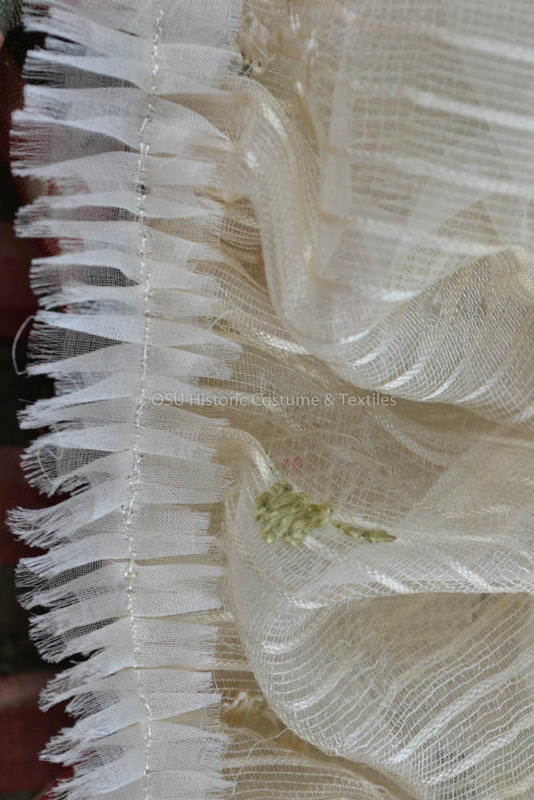 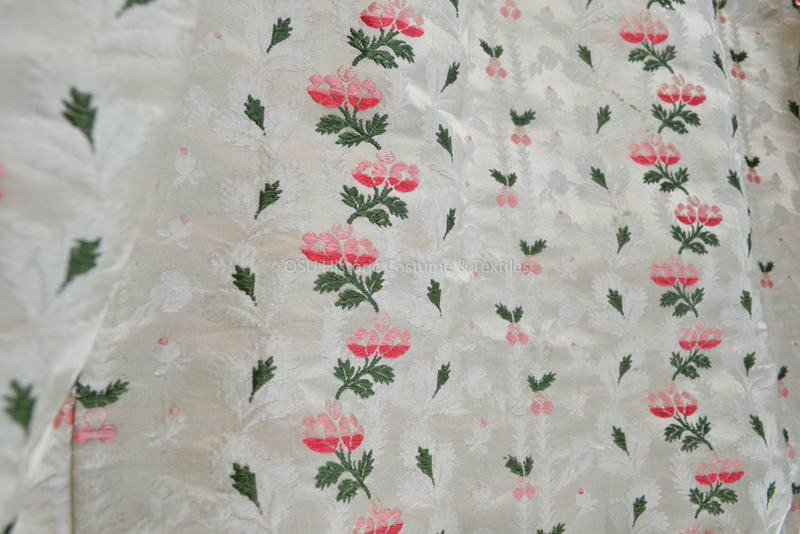 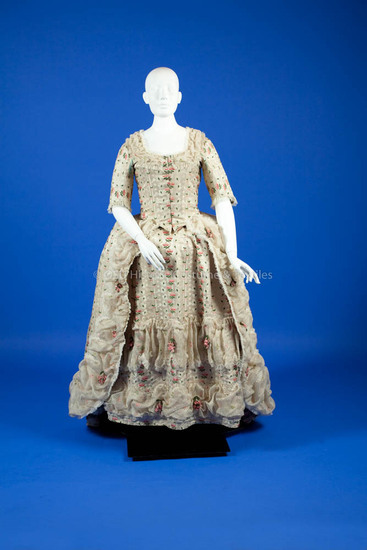 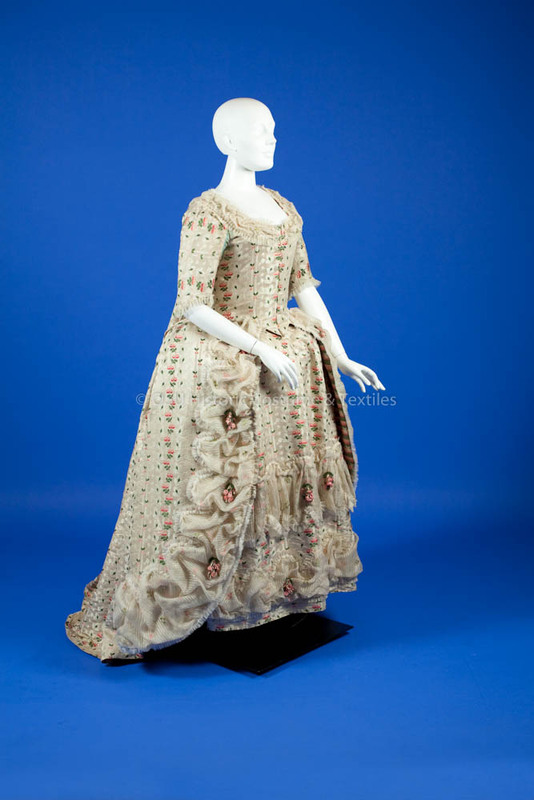 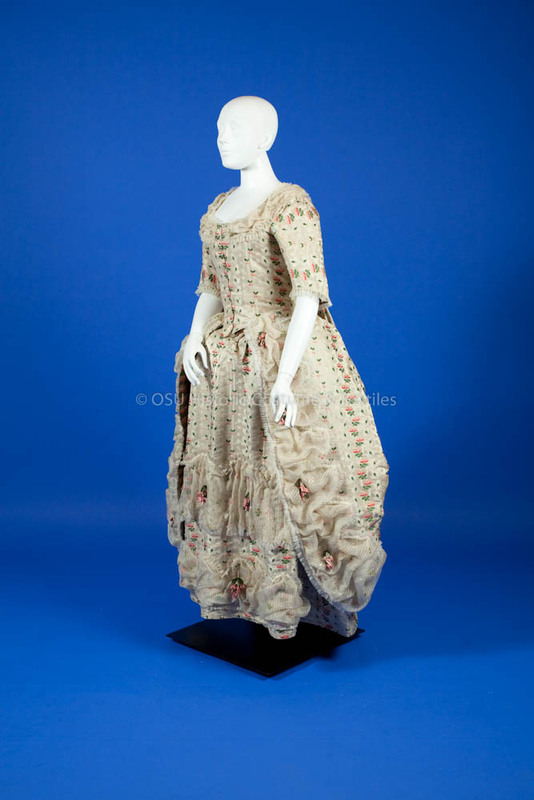 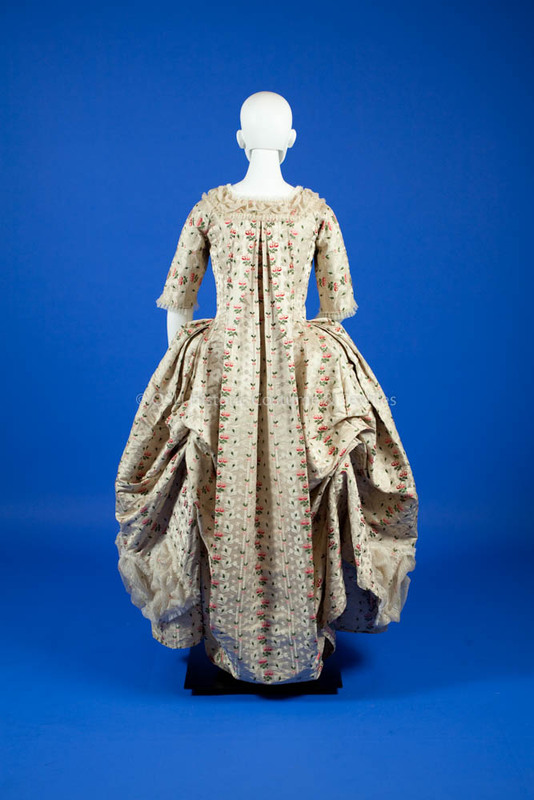 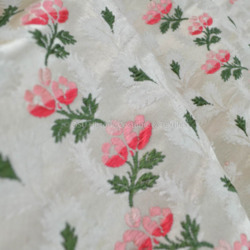 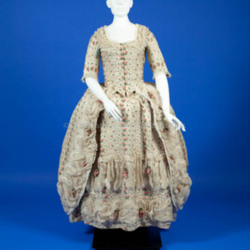 “1770's Off white silk figured weave gown,” Fashion2Fiber, accessed April 24, 2019, http://fashion2fiber.osu.edu/items/show/1208.